According to The Sun Arsenal only allow Alexis Sanchez to Premier League rivals Manchester City. 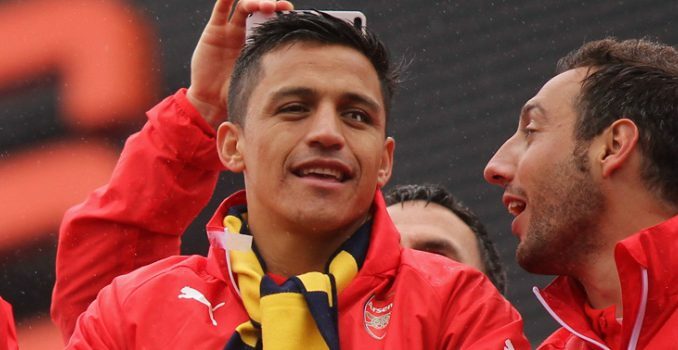 Alexis Sanchez’s long-term future at Arsenal has been subject to much speculation this summer as he has not yet signed a contract extension with the Gunners and with the Chilean having only a year left on his current deal, he is widely expected to be leaving the Emirates Stadium during the final days of the window. Earlier respected NBC Sports journalist Pilib De Brun, Manchester United have expressed an interest in acquiring the services of Arsenal star Alexis Sanchez. The likes of Paris Saint-Germain and Manchester City have been linked with a move for Sanchez throughout the summer and it is expected that the two sides will be ramping up their pursuit for the 28-year-old within few hours. However according to NBC Sports journalist Pilib De Brun, even Manchester United are keen on signing Sanchez and want to acquire the former Barcelona man instead of Monaco’s Thomas Lemar, who has been strongly linked with the Red Devils in recent days. Brun adds that United face a disadvantage in the race to sign Sanchez as Arsenal boss Arsene Wenger prefers that the player join Manchester City instead, probably due to the Robin van Persie debacle a few years ago, and it looks like the Red Devils may not be able to land the sensational attacker unless they place a ridiculous offer on the table.